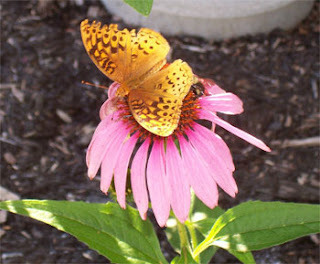 From the moment I bought my first house, my goal was to have a butterfly garden. 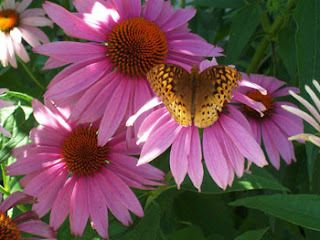 I love butterflies and all the beautiful flowers that attract them. So about five years ago or so I printed off a Butterfly Garden plan offered for free from MSN Gardens. My husband put in the hard labor to tear up the existing garden and excitedly in the very first year, we had Monarch butterflies visit our garden. Last year, I was finally able to get some pictures of the butterfly varieties that have visited my gardens and I thought I’d share some pictures with you.